A group of Russian divers have started the search for the black boxes from the crashed AirAsia plane in the Java Sea. The 17-member divers' team is using the remote-controlled Folkon deepwater vehicle, designed to operate at depths of up to 1,000 meters (3280 feet). MOSCOW, January 4 (Sputnik) — Russian divers have begun searching for the black boxes from the crashed AirAsia plane in the Java Sea, a spokesman for the Russian Emergencies Ministry said Sunday. "At a request from the Indonesian side, a group of divers from the [Russian] detachment has been allocated and, under the leadership of the director of the fire and rescue activities department Alexander Agafonov, started searching for the Airbus' flight data recorders," Alexander Drobyshevsky said. The 17-member divers' team is using the remote-controlled Folkon deepwater vehicle, designed to operate at depths of up to 1,000 meters (3280 feet). More than 70 Russian rescuers are currently in Indonesia to assist in the search for AirAsia's Airbus A320-200, which crashed into the Java Sea on December 28. Two Russian planes, an Il-76 airlifter and a Be-200 amphibious aircraft, are used in the search operation. 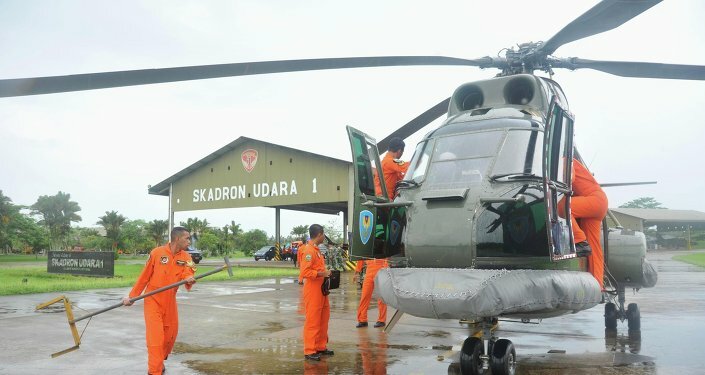 On Saturday, the Emergencies Ministry's chief military expert Eduard Chizhikov stated that the main goal of the Russian team taking part in the AirAsia search is to find the plane's black boxes.